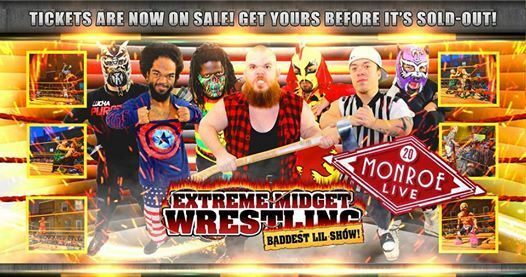 Extreme Midget Wrestling returns to 20 Monroe Live for the fourth time! Get premium amenities! Email TWFyaWFoQm91d2thbXAgfCBsaXZlbmF0aW9uICEgY29t for more info. Parking: There are several garages, lots, and self-parking in the downtown area close to the venue. See www.20monroelive.com/FAQ for more information. Tuesday Tastings "Speciation Artisan Ales"